Throwback to the days when your apartment decorating would consist of artfully placing empty liquor bottles on the kitchen counter or maybe even on top of the fridge. It was a way to show everyone that you were definitely legal, cool, and knew how to have a good time. Now, as your life transitions and it no longer seems appealing to have your tolerance on display, it may be time for an alternative to decorating with empty liquor bottles. Or, you could be like us and continue to decorate with empty liquor bottles. These 4 Jack Daniels DIY’s will help you turn that shrine into something that embodies your glow up. Spring is here! Spruce up your place with these cute Jack Daniel’s planters that would make great centerpieces on your living room table. You can make these at home using this three-step tutorial on how to cut a rectangular bottle, add some soil, and plant your favorite succulents. Or you can simply find some on Etsy already pre-made. We couldn’t imagine something more on brand for our followers. If you make these, tag us on IG! 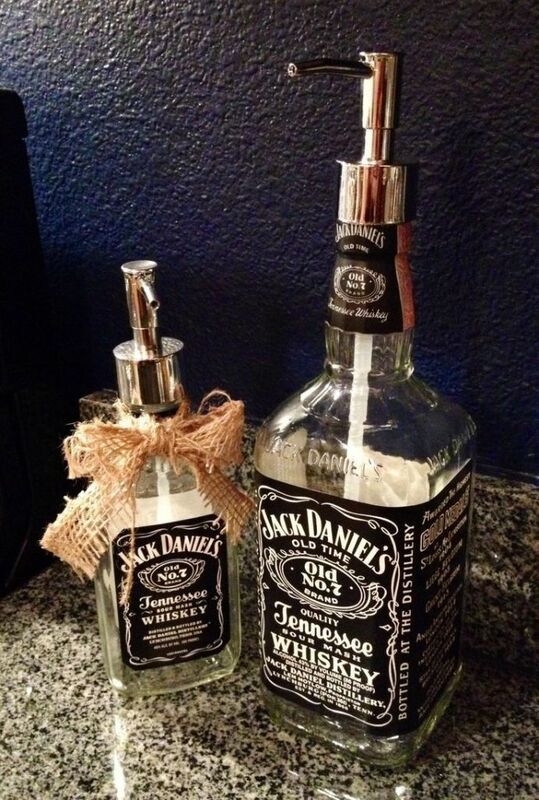 Another way to reuse an old Jack Daniel’s liquor bottle is to simply put a soap dispenser on top of it. This DIY soap dispenser definitely creates a new bathroom vibe we didn’t know we needed til we tried it. With summer right around the corner, entertaining your guest with this fun spin on tiki torches will make all your house guests jealous. Not only is it stylish, but Tiki Torches can be a great way to keep the bugs out of your party. This tutorial will help all of your summer backyard dreams come true. If you are thinking about throwing away those 2-oz Jack Daniel’s airplane bottles, don’t do it. They can be upcycled into salt and pepper shakers. These are very simple to make and are an adorable gift for any occasion from housewarming parties to Christmas when you need some stocking-stuffer ideas. 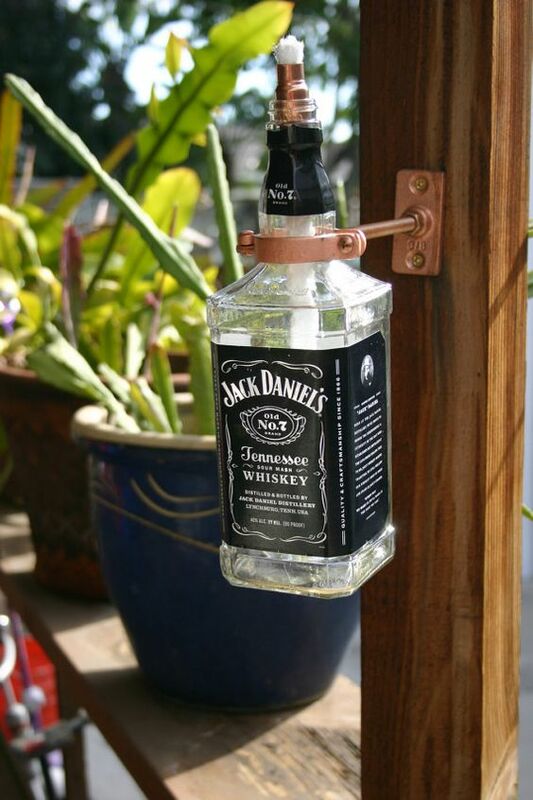 To make these, ll you need are two small Jack Daniel’s airplane bottles, a drill and very small bits, toothpicks, and optional Mod Podge. This tutorial only has five steps, so you’ll be able to repurpose those bottles in no time. jack daniels is an official sponsor of the 2019 women sound off festival. JOIN US FOR boss brunch on sunday 4/7 where jack daniels will be proviDING BOTTOMLESS WHISKEY MIMOSAS. + catch them serving up boozy CUSTOM libations at the sound off concert on saturday, april 6th at the new parish in downtown oakland.